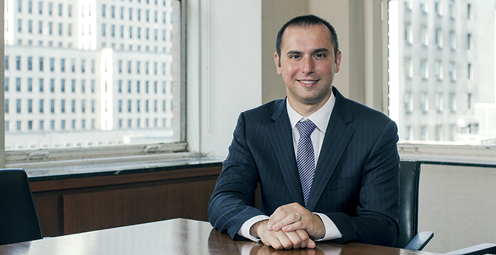 Josh Guttman focuses his practice on the hedge fund industry. He advises start-up and established hedge funds and investment managers on legal, regulatory and strategic issues relating to their formation, structuring and on-going operations. He is well versed in fund offering documents, marketing materials and regulatory filings, and regularly negotiates NDAs, side letters, placement agent agreements and other service provider agreements for his clients. He also advises on compensation matters, including the preparation of management company operating agreements and employment agreements, as well as general corporate and securities law matters. Josh works with both established and emerging managers, and has guided them through the launch of both onshore and offshore investment vehicles. He also has experience with more specialized insurance dedicated funds, including launching new IDFs, creating related compliance policies and procedures and negotiating with insurance carrier investors. In addition, Josh advises investment managers with respect to their compliance with Securities and Exchange Commission rules and regulations, including registering with the SEC, preparing Form ADV, establishing, implementing and monitoring compliance programs and assisting with on-going Advisers Act compliance, and he has also advised clients going through SEC examinations.